Is the American Foxhound right for you? American Foxhounds are a native American dog that are hard to find here nonetheless. George Washington bred American Foxhounds and is sometimes thought to be the father of the breed. The American Foxhound is mild-tempered and gets along well with people and other pets. Training an American Foxhound can prove difficult, as they are stubborn and proud. 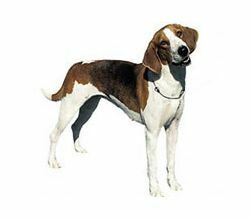 The American Foxhound is a cross of English and French hounds that both made their way to America in the 17th and 18th century. It just so happens that one of the founders of this breed is also one of the founders of America: George Washington. Originally used to help locate Native Americans, these dogs were renowned for their keen sense of smell. They are exceptionally fast when chasing down a mark, making them very useful when hunting foxes, hence the name. Although they look strikingly similar to their English counterparts, they are noticeably taller and skinnier, making them even faster. Their slightly domed, large head is decorated with two broad, pendant shaped ears that frame their face, making their large, wide-set eyes pop. 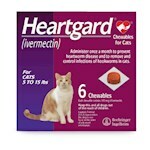 They carry their tail up above their back in a slight curve, and their coat is short and hard. The American Foxhound is a complex dichotomy of tender and loving at home, combined with unchecked intensity during a hunt. They are great family dogs, as they play very well with kids and other dogs, but because of their hunting background they should not be left alone with cats. Since they were bred to hunt, they do not always do well in a house setting, longing for the thrill of the chase rather than the comfort of the sofa, so if it is a house pet you want, consider Foxhounds bred for show rather than the field. Any color is acceptable in the American Foxhound, but most are pie-balled with a splotch of black on the back and white legs accented with tan on the trunk.